4 weeks 11 min ago. Commissioned by the acclaimed New York dance duo of Art Bridgman and Myrna Packer, composer and saxophonist Ken Field (Birdsongs of the Mesozoic, Revolutionary Snake Ensemble) has created new work for layered alto saxophones, bass, and drums to accompany "Under the Skin", Bridgman/Packer's interaction of live performance and video, called "the most thrilling dance work in recent memory" by the Boston Globe. Field's music has been labeled "Twentieth Century head music with a swinging beat" (Outsight) and "Mysterious, chilling, and richly textured...overwhelmingly captivating." (Saxophone Journal). "Under the Skin" was intended to be performed by Field live with prerecorded saxophone, bass, and drum tracks. Here, one such performance is captured on CD. From the Boston Globe: "Ken Field's dynamite jazz/funk score pops with an infectious groove as he plays live with a prerecorded tape in a way that echoes the dancers' fusion of the real and virtual." Ken Field has been a respected part of the Boston experimental music scene for years, with his nearly two-decade membership in Erik Lindgren's Birdsongs of the Mesozoic and long-running radio show The New Edge on MIT's college station WMBR. His rare solo records occasionally seem like afterthoughts in the saxophonist's busy creative life, but Under the Skin, his first solo record since 1999's Pictures of Motion, is one of his most enjoyable and immediately accessible works. Written on commission for a New York dance company's show mixing video and live performance, Under the Skin was written and performed in a similar fashion: Field pre-recorded himself playing with the rhythm section of bassist Jesse Williams and drummer Phil Neighbors, often overdubbing several saxophone parts on top of each other, then performed live tenor sax solos over the tapes during performances. These eight brief pieces (none breaking five minutes) are lyrical and melodic, many with haunting cyclical rhythmic figures built up through Fields' overdubbed saxes in a way that occasionally recalls both Philip Glass' Glassworks and Fripp and Eno's conceptually similar '70s work. Elsewhere, "Om on the Range" builds slowly on top of an intoxicating, almost Indian (in both the south Asian and southwestern American sense) percussion figure, and the closing "Slits in the Curtain" is a playful, surprisingly funky bit of soul-jazz groove. Un lavoro commissionato con intelligenza e coraggio, portato a termine con allegria, ironia e rigore. Non era facile. This guy can make more sound with a saxophone, bass, drums trio than just about anybody I've heard in years! Great stuff! 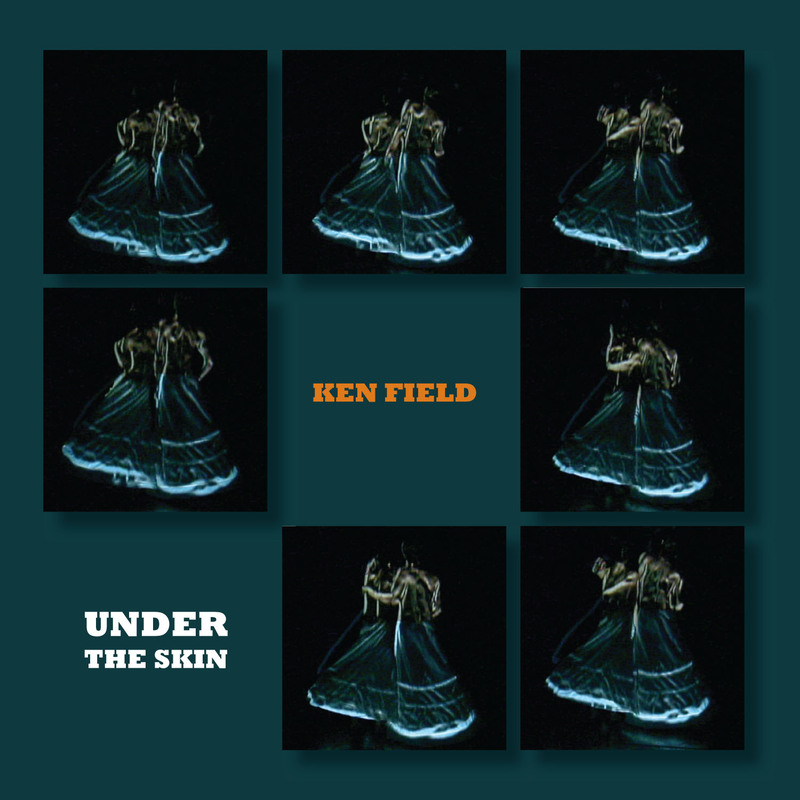 Originally presented as a multimedia dance piece choreographed by Art Bridgman and Myrna Packer, Ken Field's Under the Skin (2005) stands in its own right as an extended suite of pulsing studies for multiple saxophones, acoustic and electric bass, drums, and percussion. This work has been presented to critical acclaim in New York as part of an evening's entertainment with two other Bridgman and Packer dance works: Seductive Reasoning, featuring music by Robert Een, and Memory Bank, with music by Glen Velez. In hearing Field's work on CD, apart from the trilogy and separated from the dancers and their video images, one is inclined to consider the music as an independent entity because its rich jazz idiom, varied moods, strong back beats, and solid modular forms carry it along quite successfully, without recourse to imagery or narrative. Field's multi-tracked saxes produce fluid counterpoint and chunky bop harmonies, and his parts are precisely interlocked with Jesse Williams' funky bass lines and Phil Neighbors' energetic but unobtrusive drumming; the effect of the trio as recorded is of a considerably larger and more impressive band, which projects something like a live feeling. Of course, this music was designed for the dance, and one can hope that Bridgman and Packer will make a DVD available of the full production. But Field's work on this 2006 Innova release holds ample interest, and anyone curious to hear some of his infectiously rhythmic music will find it to be a terrific introduction.